Yes, it’s true. 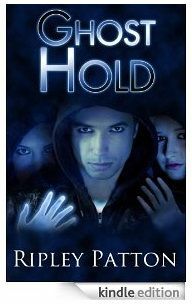 You can actually pre-order GHOST HOLD: BOOK TWO OF THE PSS CHRONICLES in both e-book and paperback formats now, three months before its September 2013 release. But don’t delay, because this offer only lasts this month JUNE 1ST-JULY 1ST 2013. How is this possible, when Amazon doesn’t let Indie Authors create a pre-order feature through them? Thanks to the magic of KICKSTARTER, an extremely reliable crowdfunding site which allows me to put GHOST HOLD up for pre-order and simultaneously raise the funds to produce the book at the highest quality level possible. Not sure about crowdfunding? Well, if you’ve read and loved GHOST HAND, that is exactly how the book was funded and produced. And every backer got the book they’d hoped for AND the satisfaction of knowing they’d helped make it a reality. If you’ve been eagerly awaiting the SECOND BOOK IN THE PSS CHRONICLES, I encourage you to consider backing the GHOST HOLD Kickstarter Project today. Backing is very simple and only involves signing up with Kickstarter and having an active Amazon account (or creating one). Backers were the first to see the new Ghost Hold Cover at its release on June 15th. Backers of the project will also receive a sneak peek of chapter 1 (already released), chapter 2 (at $2000 mark) and chapter 3 (final goal $2,500) of Ghost Hold. WHAT IF THE PROJECT DOESN’T MAKE IT? Well, it’s possible, but not probable. Last year, GHOST HAND obtained 110% of its funding, and GHOST HOLD is already ahead of the game in that regard. In only the first six days, GHOST HOLD is already 39% funded. Projects which are this funded this early, are 93% likely to make their goal. But, if everyone assumes it will make it, or that other people will pledge so they don’t need to, it could fail. If that happens, the publication of GHOST HOLD might be severely delayed as I seek out other ways to acquire the funds to do it right. So, if you want GHOST HOLD as soon as possible, please back the project, even if only for a little, because every dollar counts. Thank you so much for all your amazing support.